Don't miss this fantastic, large, sunny lot with mountain-chalet style home. 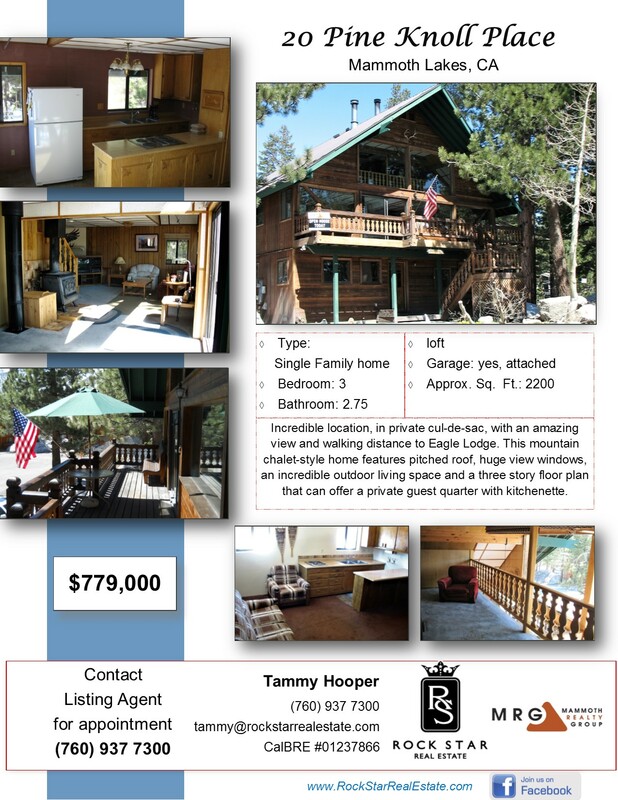 Located in one of the best neighborhoods in Mammoth, Juniper Springs, in a private cul-de-sac. For the winter enthusiasts: only a ski-cut traverse to Eagle Lodge ski lifts!